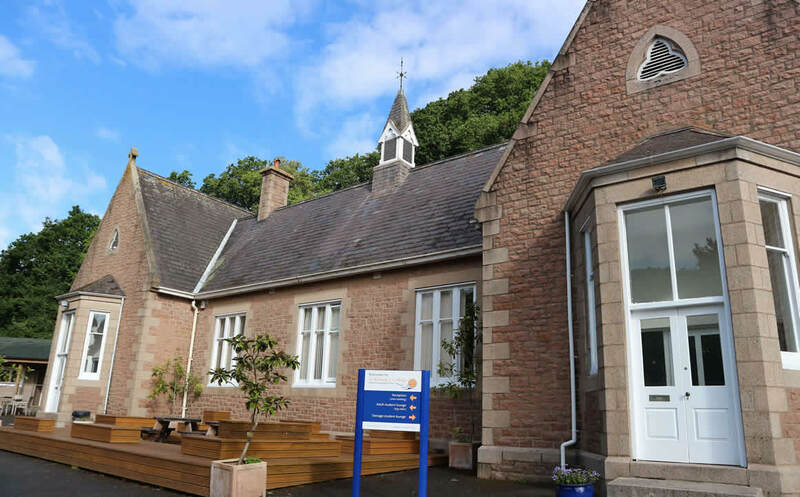 Our permanent year-round English school occupies a charming 19th century granite building a short walk from the picturesque harbour village of St Aubin. The school is positioned amongst lush woodland, ideal for quiet and focused study. Just down the hill in St Aubin, students can find the beach, harbour-front promenade with restaurants, bars & cafes, an art gallery and all the necessary amenities, including a supermarket, cash machine & post office. Bus routes connect St Aubin to the main town of St Helier and airport in 10-15 minutes and woodland paths & beach promenades make the area perfect for walking & cycling. We encourage you to work towards your learning goals and gain confidence through flexible & engaging English classes planned to meet individual needs. Our structured syllabus, with a focus on communication, has been devised in order to bridge the gap between what you learn in the classroom and what’s outside the door. We use up-to-date course books enhanced by stimulating activities and authentic media. In 2018, when adult students were asked whether they would recommend the school, they gave an average rating of 4.5/5. What you write in your mid and end course feedback is important to us, not only so that we can check your satisfaction during your stay but also to improve our programmes in the future. Adult English courses take place all year round at our main school in St Aubin where courses for other age groups also take place at different times of the year.